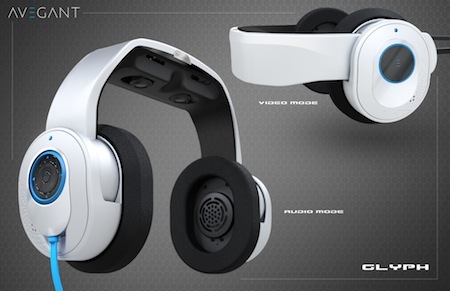 Avegant presents us with Glyph, their revolutionary virtual retinal display technology that lets you experience your virtual reality as vividly and in as lifelike a manner as your regular reality - and maybe even better, thanks to its retinal display. 1. What is a Virtual Retinal Display? A Virtual Retinal Display uses a micromirror array and a combination of optics to reflect an image directly onto your retina, effectively using the back of your eyeball as a screen. The resulting picture is extremely sharp and vivid, unlike anything a conventional display can produce. In particular, the 3D images are exceptionally clear. Yes. The light source is simply a low powered Light Emitting Diode (LED) – something like you would see at the end of a keychain light. The micromirror array and optics together create the unique image. Frederik Pohl and Cyril Kornbluth wrote about this idea about sixty years ago in their still memorable 1952 novel The Space Merchants. "All the news while it's news," a metallic voice dinned at him. "Have a retinal vid-screen installed in your least-used eye. Keep in touch with the world; don't wait for out-of-date hourly summaries." The company show off the Glyph at CES in Las Vegas in January, and will make it available to pre-order on Kickstarter, for $499.